Did you ever wonder if anything we do even matters? We sign petitions, we talk to our friends and family, we boycott products/businesses. But do we make a dent? While it's easy to get discouraged, it's important that we don't give up. That's why I wanted to share a story of success... of how our voices were heard. For months, there was a push for Hershey to stop using child labor and to achieve Fair Trade certification. This involved individuals, like you and me, bombarding Hershey with petitions, emails, phone calls, social media messages, etc. demanding that the company cut ties with child labor. Several protests took place in front of Hershey headquarters, which attracted quite a bit of media attention. The Green Business Network managed to get over 40 food co-ops involved by having them pledge not to carry Hershey products.But when it came to Whole Foods, there was resistance. As a matter of fact, they refused to pull the products from their shelves. Thousands of emails to Whole Foods managers from members of the Green Business Network finally tipped the scale and after only 8 days, Whole Foods removed Hershey's Scharffen Berger line from their stores. 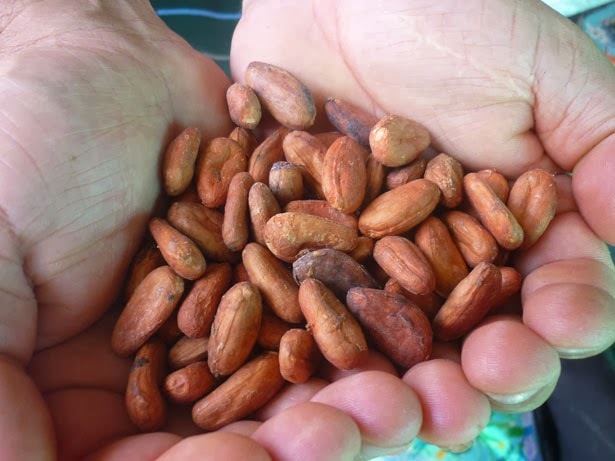 Within a week of the announcement from Whole Foods, Hershey buckled and pledged to certify 100% of its cocoa by the year 2020. That's a bit slow for my liking, but hey, it's success. And that, my friends, is something to be thankful for. Lincoln's face looks like how I feel! I have to admit, I'm not feeling very thankful today. We decided to hire someone we knew to do a "soft" kitchen remodel. The work started on Tuesday and he and his helper were supposed to be done by noon yesterday. To say this has been a nightmare is putting it mildly, although in light of what's going on in the Philippines, or in some of your lives, for that matter, it's just an inconvenience. But I must say my stress level has not been this high in a long time. Our soft remodel included painting, ceiling repair, crown molding, a bead board backsplash, cove base, new counters, and a new floor. One of our two counters (we have a small kitchen) has a weird angle to it. It's not your typical 40 degree angle that comes standard with in stock countertops. Well, let's just say the contractors measured wrong and now we have a counter with the wrong angle which is 2" short (thus exposing the top of the dishwasher), and our sink is no longer centered. Yikes. The whole thing has to be scrapped and we have to cut our losses. And this is only one of the many things we're upset about. I'd take pictures and post them, but they'd just upset me for years to come. We followed our contractor's recommendation and bought an Allure floor. So far, we're pretty happy with it, with the exception of how easily it shows scratches and scuff marks. At first, my husband was having a fit. So, of course, I went online to look up reviews of the flooring (shouldn't I have done that first?!). 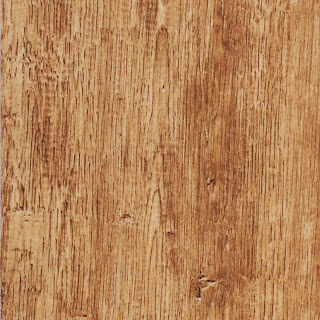 For the most part, the Allure vinyl plank flooring gets high marks. But there are also a fair amount of complaints about the scratches/scuff marks, as well as the separation of the planks with changes in weather. What?! The key is making sure the flooring has acclimated to the room temperature for at least 24 hours and that you use heat to seal it when it's laid. Uh oh. Neither was done. Time will tell if we will pay for that mistake, too. Anyway, I turned to Google to find out what to do about the floor. And guess what? Washing it with vinegar and water was the first solution I found! 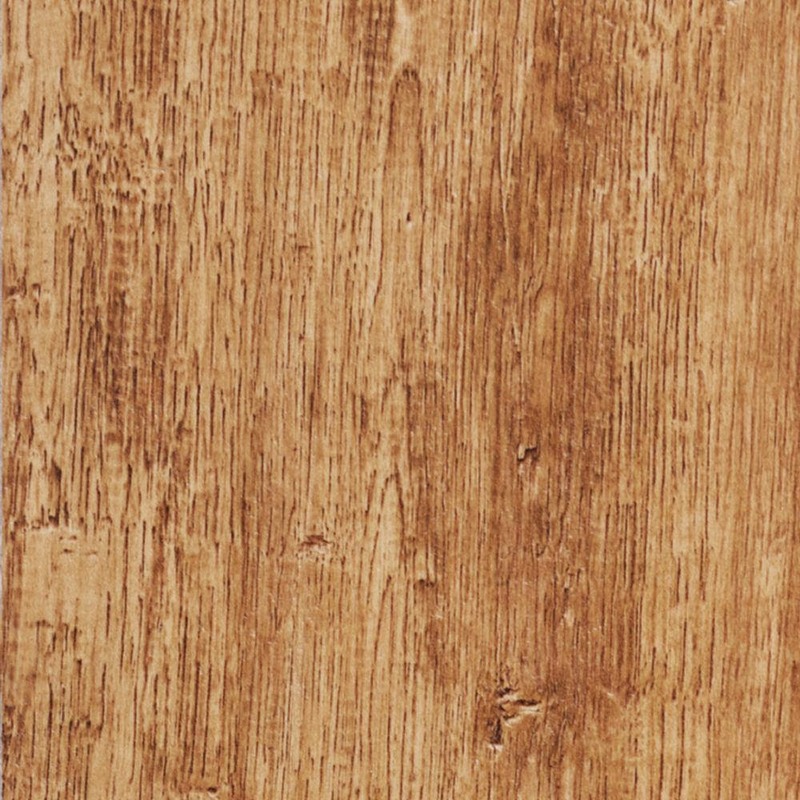 As with many flooring types, mixing one cup of distilled white vinegar with a gallon of warm water is recommended. Who knew? Even with this new-type flooring, vinegar comes to the rescue. So that's my tip for this particular Vinegar Friday. Wish vinegar could solve all the other problems! By the way, the picture at the top of the page is my grandson standing on my new kitchen floor. He's holding my ragdoll cat, Vincent Van Gogh. For more great vinegar tips, check out my book VINEGAR FRIDAYS, on sale for just $8.99 on Amazon.com. 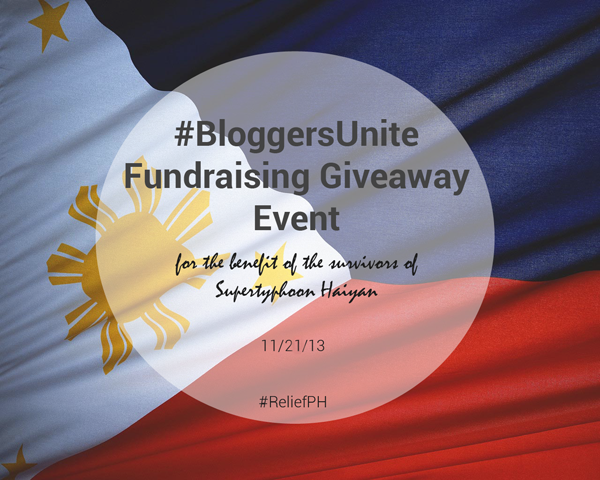 Supertyphoon Haiyan and how you can help -- and win some great prizes while you're doing it! Personally, I haven't been able to shake the images. I think about these people day and night. Sometimes, when doing the simplest of tasks, they come to mind. Times like when I'm going to the bathroom and realize for many of my brothers and sisters in the Philippines, there are no bathrooms. I reach to pull the covers up on the bed and think, There are no covers... there are no beds. I take it further and think, There are no rooms to put beds in. Quite honestly, it's been difficult to not become extremely depressed by it all. 650,000 without homes. 650,000!!! Unfathomable. As bloggers, we thought we could help these people by throwing this huge fundraising giveaway -- a way we are all very familiar with. We have already raised $515 from this event and are continuing to receive more donations through GoGetFunding.com. There will be a turnover of funds to legitimate organizations that buy, repack, and hand out relief goods directly to the victims. You can visit one of the host blogs for updates on the fund transfer in about a week or two. This giveaway is open Worldwide (see which prize above could be sent to your location), 18+, void where prohibited by law. It will run from November 21st at 12:01am EST to December 5th at 11:59pm EST. Please enter using the Rafflecopter widget below. Five Star Wellness Center Giveaway Event! Welcome to the Five Star Wellness Center giveaway, hosted by Happy Mothering! I'm very excited to share this giveaway with you, because we're giving away $100 PayPal cash AND a colonic with body wrap ($170 value). Even if you don’t live in New York or New Jersey, those services would make a wonderful Christmas gift for a friend or family member who does! Colon Hydrotherapy equipment uses safe filtered, temperature-controlled water for inner cleansing to facilitate the removal of impacted waste, which helps maintain health and encourages weight loss. By removing impacted waste, balance is restored to your body so you can experience a feeling of wellness and lightness. Body wraps are an advanced development that works on shrinking Cellulite, which is found directly below the surface of the skin. Body Wrapping also eliminates toxins and impurities that have built up in the body. And who can’t use $100 cash (paid via PayPal) this time of year! This winner can splurge on themselves or use it for Christmas gifts. I'm feeling a bit nostalgic today. And weepy. Sometimes, when I'm feeling down, I focus on some of the delightful surprises I've had in my life. Which brings me to The Christmas Tree. 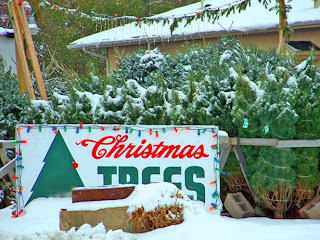 "We just can't afford one," my husband, Jim said, as we perused the lot of Christmas trees. "But the kids will be so disappointed," I countered. "They'll just have to understand." He was right. Money was tight and a Christmas tree was not a necessity. The girls were young enough to not really know the difference anyway. Still, I looked longingly at the fluffy firs and elegant white pines, imagining them adorned with lights and homemade ornaments. We scraped by to provide our daughters with gifts to put under our non-tree. 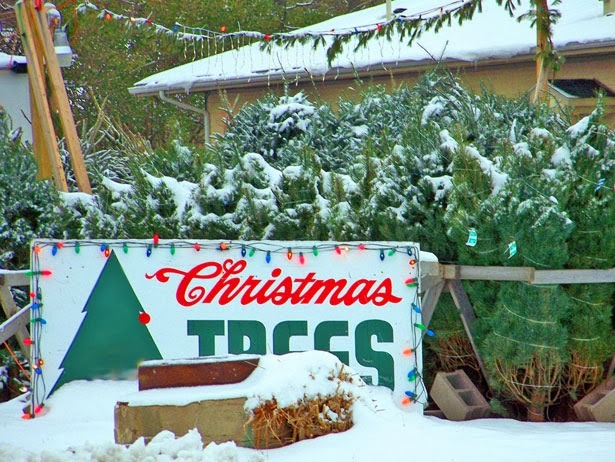 I was grateful for what we had, but the absence of the tree put a damper on my holiday spirit. And then, the phone rang. "This is Sandy, from Clinton Tree Farm," the voice said. "We have a tree here for you." She proceeded to recite their hours and told me we could pick it up anytime they were open. What she wouldn't tell me is who bought the tree. To this day, I have no idea who gifted us with such a blessing that year. But I've always been grateful. Do you want to help make a difference in the life of someone who is about to have a lean Christmas of their own? Community Human Services Holiday Gift Drive in partnership with Pittsburgh Tweetup, a group I'm involved with, is looking for kind, giving people like you who would like to brighten someone's holiday. Please help us make the holidays special for 200 children and adults in Pittsburgh by supporting the 2013 CHS Holiday Gift Drive. They seek to provide a small gift for a local individual or family using the services of one of their programs. For many, this will be the only gift they receive during the holidays, and often these gifts are practical, useful, and accessible. And, they give help each person have a bit brighter winter from a warm coat to a piece of cookware to a fun toy. The frenzy starts the Tuesday after Thanksgiving! We are giving away a very awesome and beautiful Woven Mei Tai - The Didymos Didy Tai valued at $190. Residents of US and Canada can enter this unique giveaway. What makes it unique? The Didymos Didy Tai is a wonderful marriage between a woven wrap and a Buckle carrier. It's super fast (and easy to learn) like the buckle carrier and snugly like a wrap. The DidyTai (or wrap-tai) has a criss-cross back for weight support. This is the only Mei Tai style carrier that Caribou Baby recommends for newborns because of the tremendous back support - and the ability to carry the baby legs out in a deep squat - from day 1. Green Grandma is not responsible for prize distribution. I read a Facebook post last week from one of my fellow writers and immediately responded by asking if she'd like to write a guest post on this subject. To my delight, she agreed and I am thrilled to be offering Mary Sutton's wisdom on an issue pertinent to today's parents. I hear this from a lot of people, especially those of my dad’s generation. 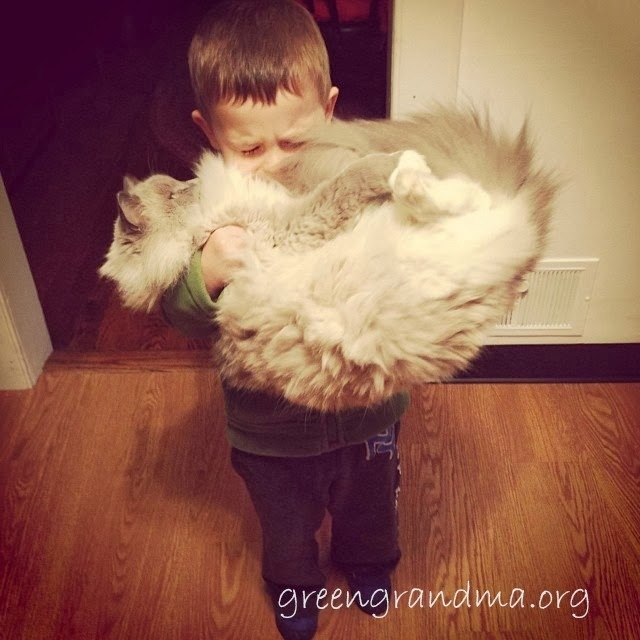 You know—grandparents. Somehow, they look at kids in 2013 and think it was so much easier raising them in the 50s, or 60s, or 70s. However, the previous generation has been bemoaning the current generation since the days of this guy named Socrates. So really, the basics are not new. There is no doubt, however, that the game has changed. Not that it hasn’t changed before (when radio gave way to television, when movies in theaters gave way to DVDs). As always, the change brings new challenges. This was the plaint from my 13-year old daughter last week. See, their TV/computer/phone privileges have been severely curtailed. We’ve tried to stem the digital tide. My son, 11, does not have a smart phone. Just this fall, we got my daughter a smartphone (a 99-cent iPhone 4). She “pays” for it by cooking dinner five nights a week. My son did save up and bought himself an iPod Touch. And, of course, there is the computer. I’m also gratified that any number of adults -- from our pastor, to the little old church ladies, to teachers -- tell me, “Your kids are such wonderful young people.” So I guess the good part is they’ve saved this behavior for me. Still, I want them to keep being “wonderful young people.” And that starts at home. My kids are hardly digital addicts. They do scouts, taekwondo, swimming in the summer, and are outside a good bit. But things have gotten just a little out of hand. When the behavior started mimicking what I see on “Jessie,” “Crash and Bernstein,” and “Pretty Little Liars,” well, it was time to take steps. My girl does, however, have a point. We are all so connected these days. Look around the next time you’re in a mall. Almost every adult (and a good portion of the kids) has a smart phone. We tweet, Facebook, Instagram, Tumblr, almost all of our lives. Actual telephone calls have decreased so much, that phone companies are giving minutes away for free. In our increasingly mobile society, we may live miles away from friends and family, in another county, state or time zone. There is no doubt the Internet has allowed many of us to meet people we would not have otherwise connected with. And this is not a bad thing. The bad thing is when it starts interfering with daily life, with how we treat the people we do come in personal contact with, especially our friends and family. 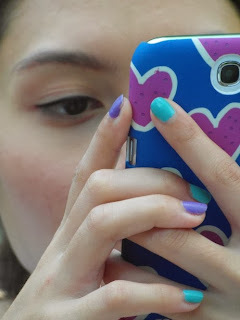 So, as a parent, we ask ourselves: Can we really detach our children from digital space? We are the parents, after all. It starts with us. What does your own digital life look like? Are you able to put down the phone and pay attention to a movie? Do you take phone calls or texts during dinner? Do you even eat dinner with your family? If the answer to any of those questions is “no,” well, that’s the first step. It might be time to reform your own digital habits. Phones, when not in use, are stored on the shelf in the back hallway. They can make calls and answer texts. Otherwise, the phone is on the shelf. No YouTube, no endless hours of checking Instagram, no games. The computer is to be used for educational purposes only. Research, papers, projects. No games. No television watching after school. A parental lock code has been implemented to keep it that way. Any other television viewing must be parent-approved (for example, watching a football game on Sunday afternoon). Essentially, they can do four things: read, homework, chores, or play outside (okay, it’s November in western Pennsylvania, so not sure about that one). There was much wailing and gnashing of teeth. But after the initial outburst, I found the kids quietly playing a board game in the living room. Later that night, all of us were cozied up reading. And the change in attitude was almost instantaneous. The new regime will continue until Christmas vacation. Then we will re-evaluate. Based on early results, however, the outcome is very promising. Mary Sutton has been making her living with words for almost fifteen years. She is the author of the Hero’s Sword middle-grade fantasy series from Delabarre Publishing. Welcome to the Ceramique Jewelry Giveaway! a polished, silk or brush finish. Winner also gets to choose their size. Ultra-durable and stylish, versatile and unique, Gem Ceramic is the perfect alternative to precious metal jewelry at a fraction of the price. Available in a variety of colors of styles, Gem Ceramic can be inlaid with gold and set with diamonds or pearls. Work personally with Etienne to custom design the Gem Ceramic jewelry of your dreams with diamonds in any color of the rainbow! Disclaimer: Green Grandma was not compensated for this post. Open to US residents only, 18+. Confirmed Winner(s) will be contacted by email within 72 hours of end of event. Winner(s) have 48 hours to respond before a new winner is chosen. 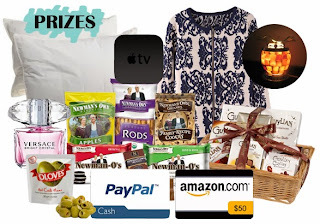 The sponsor(s) is responsible for prize shipment to winner of this giveaway. This event is in no way administered, sponsored, or endorsed by, or associated with any social media, such as, but not limited to, Facebook, Twitter, Google, Pinterest. 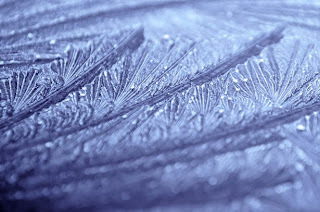 With the chilly mornings lately, many of us have been greeted by Jack Frost's handiwork on our car windows, so I thought it would be a good time to repeat a tip I've shared before. Mix up a 3:1 solution of distilled white vinegar and water in a spray bottle and spray it on your windshield and other car windows. 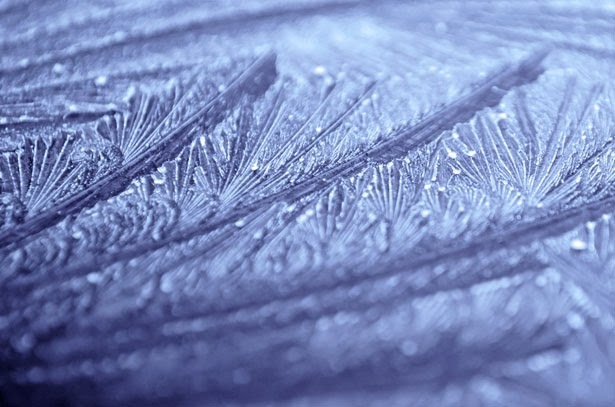 Ice will not form on the windows because the acetic acid in vinegar raises the melting point of water which prevents freezing. Now, some of you have asked about the acid eroding the paint on your cars. It will not, provided you are diluting it and not sloshing it full strength all over your paint job. A light spritzing on your windows will not have an effect. However, it may start to eat away at the wax, so be prepared to have to wax your car again once the weather warms up again. That's your tip for this particular Vinegar Friday. Feel free to share! Have you heard of Little Remedies children's medicine? Maybe not, but I'm sure you've heard of the Make-A-Wish Foundation. Perhaps some of you have even experienced the work of this organization firsthand. Well, Little Remedies has partnered with actresses and celebrity moms Tia Mowry-Hardrict and Tamera Mowry-Housley to launch the "Say Yes to Less" campaign to benefit Make-A-Wish. Beginning last month, Little Remedies started encouraging their customers to log on to www.SayYes2Less.com and take a pledge to "Say Yes to Less" of the things their children don't need in order to live happy and healthy lives. According to a recent press release, families can pledge to do things such as eat less sugar or create less waste. In return, Little Remedies will donate $1 to Make-A-Wish for the first 100,000 people who take the pledge. "We're huge fans of Little Remedies and we both use the products with our own kids, so we're thrilled to be working with the brand on the 'Say Yes to Less' campaign," said Mowry-Hardrict. "Taking a more wholesome approach to raising our kids is something we feel passionate about, so we're excited to ask other parents to join us, and to see how families across the country will 'Say Yes to Less,'" said Mowry-Housely. As the official spokespersons for the pledge, Tia and Tamera will appear in a series of videos featuring families who personify the Little Remedies philosophy, "Everything They Need, Nothing They Don't," by casting away doubt, fear, negativity, and wastefulness from their lives. The stories are inspiring and motivating as these families share how they were able to conquer the obstacles that were blocking the way to their own health and happiness. "Make-A-Wish helps make life better for children with life-threatening medical conditions," said David Williams, president and CEO, Make-A-Wish America. "Through our alliance with Little Remedies, we hope to inspire families everywhere to 'say yes to less' of the things their children don't need and focus on small things they can do to make their lives better." Created by a father and pharmacist who grew tired of searching for products for his children that were effective, but were also made with ingredients he could feel good about, the Little Remedies brand provides parents with effective products to support the wellness of their children,. The products range from natural remedies, to medicine-based items that feature only the necessary ingredients. That means there are no artificial flavors, artificial colors, alcohol, saccharin, or dyes. Period. As I said, Little Remedies will donate up to $100,000 to Make-A-Wish, $1 and one pledging customer at a time. After pledging to say yes to less, consumers then have the option to continue their commitment for up to 30 days by returning to the website to "check in" and confirm they are indeed following through with their pledge. After a key number of check-ins, consumers will be rewarded for their efforts with badges that are seen on their pledge page, and they will receive coupons for Little Remedies products. This is a win-win program for everyone involved. So what are you waiting for? Click here to make the pledge... and make a difference. Come on! Let's show them that the Green Grandma community really cares!! Looking for bloggers to join this awesome event. a small red basket filled with meager necessities. I want to carry his load. or an old war injury? I imagine a handsome soldier with broad shoulders and curly brown hair. growing colder each year as the cost of fuel rises. A Purple Heart safely ensconced in the other. My cheek is moistened by a lone tear. He turns his gaze from the floor. His voice is raspy as his eyes travel to a distant place. I am carrying the basket of a giant. I want to hear his stories. I notice his license plate. is the distinguished Purple Heart. I am having lunch with a hero. A different way to pay ... with personality!